As a young and creative celebrant I love to help couples write their own one-of-a-kind wedding vows. 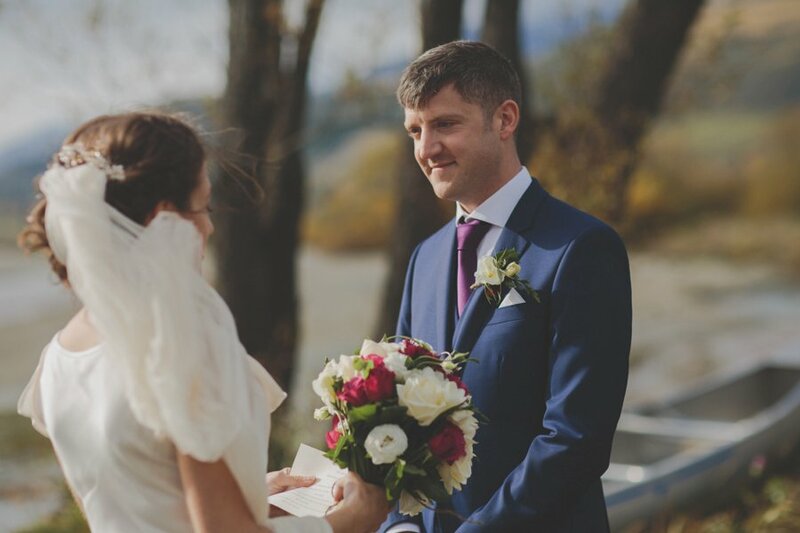 I’ve trawled the internet, geeked-out on wedding blogs, reflected on when my husband and I wrote our own wedding vows for our own Queenstown wedding, and drawn on my experience as a wedding celebrant to create a 10 step guide to writing your own wedding vows. Discus with your partner whether you will share your wedding vows beforehand, or keep them as a surprise for the big day. Knowing what to expect will help ease some anxiety on the wedding day but surprise vows will add a special level of anticipation and excitement. Your celebrant can check in on both of your vows to ensure consistency without giving away the surprise! Will you both declare the same vows on your wedding day, or will you each have something different to say? Having the same vows means that you can enjoy writing your vows together and you will declare exactly the same promises on your wedding day. Super easy, simple and consistent. However, writing your own individual vows means you can really put your own stamp on them. Also think about how you will deliver your vows- your celebrant can re-write your vows into repeat-after-me style vows or question vows so that all you have to say is “I do”! 3. What’s the tone & timeframe? Discuss the tone you want your wedding vows to have – romantic, sentimental, practical, funny, etc. Also, think about how long you want your wedding ceremony to be and how long you are each comfortable speaking for. Make sure you let your celebrant know your ideal timeframe or your time limit! What is the story of your relationship so far? Think about when you met, how you fell in love, any obstacles you’ve had to overcome and what you’re dreams and goals are for your future together. 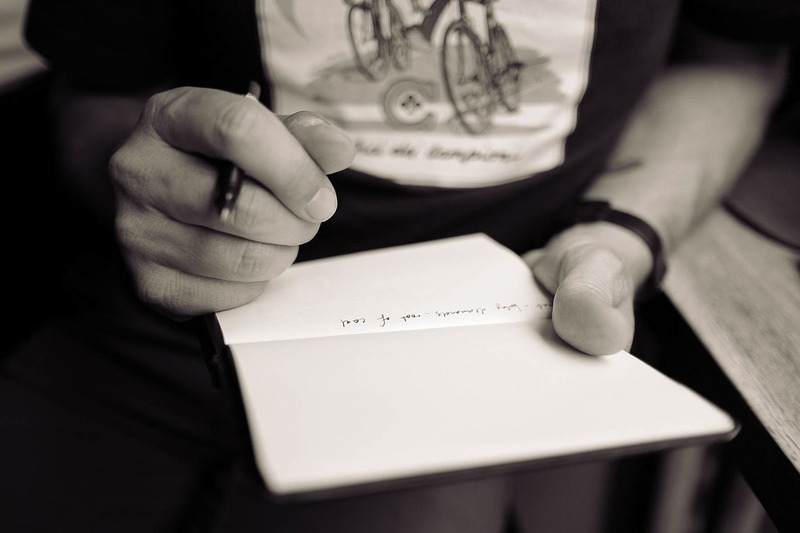 Write down the key moments in your relationship that stand out. 5. What do you love about your partner? What do you REALLY love about them? How do they make you feel? What’s changed in your life since meeting them? What are you thankful for? What makes the two of you perfect for each other? Write down your answers and think about stories which demonstrate or symbolise what you love most about your partner. 6. What does “love” and “marriage” mean to you? Everyone has their own definition of “love” and “marriage”, and there’s no right or wrong answer. Write down your own definitions and think about how your view may have changed since meeting your partner. Also consider other relationships you admire and what features of those relationships you want to apply in your own marriage. Think about your vows in three stages – the opening, middle and closing. For example, your vows could work chronologically from when you first met, to falling in love, and finish with your promises and dreams for the future. Or you might start by talking about what marriage means to you, why the two of you are perfect for each other, and close with how you will play your part in creating a long and happy marriage. Do you want your vows to rhyme or write and perform them as a song? Now it’s time to fill in the blanks. With your outline from step 7 as your guide, use your notes from steps 4-6 to add specific details about you and your relationship. Think about what you are offering to your partner, what you are promising them and what you are thankful for. Send a copy of your vows to your celebrant at any time for their thoughts and feedback. Read your vows aloud, time yourself, and make any changes you feel necessary. Repeat this process until you’re 100% happy- and keep practicing! Think about how your vows flow and whether they make sense. Try to speak clearly, and not rush. 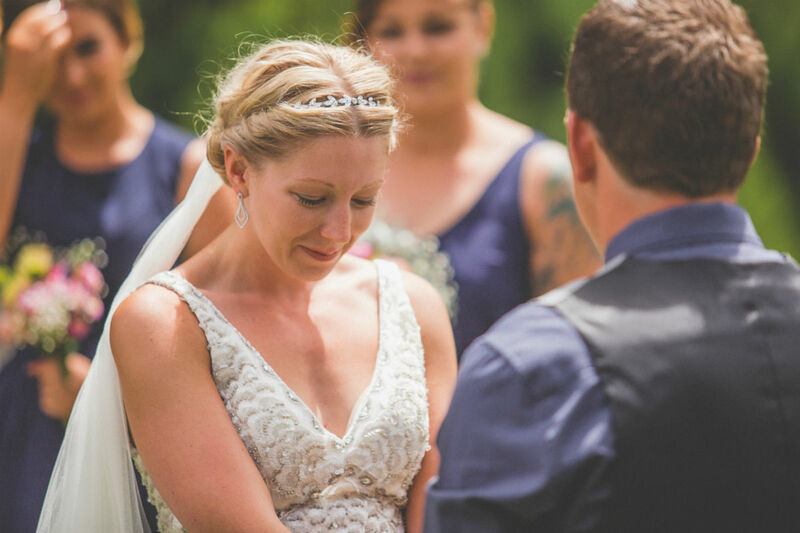 If you’re not comfortable reading your vows from start to finish in one go, ask your celebrant to re-write them into repeat-after-me style vows or questions for you to answer. You can also ask for feedback from friends, family, your partner or your celebrant any time. 10. Remember, your wedding vows are all about you. All of the above is just a guide. Your wedding vows are special and specific to you and your relationship. As long as your wedding vows are honest and heartfelt, you can’t really go wrong and your partner will love them regardless!